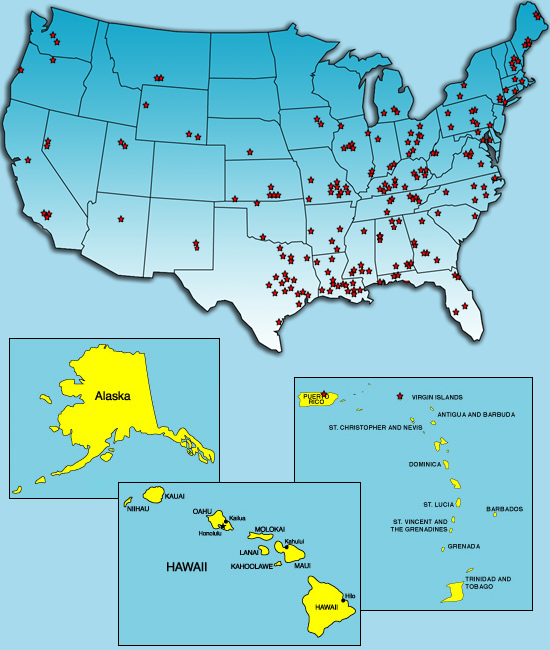 RFN provides "recorded live" customized studio-quality mp3 weather forecasts to nearly 300 radio stations in over 40 states. Each weather forecast is tailored to fit the stations’ format and audience. Click on a state with a star to view the list of stations and their respective information and coverage maps.